Government will meet the Transnet/Diaspora Infrastructure Development Group (DIDG) consortium tomorrow in a crunch meeting that is expected to chart the roadmap towards recapitalising the National Railways of Zimbabwe (NRZ). In 2017, NRZ and the Transnet/DIDG consortium penned a $400 million deal aimed at recapitalising and rehabilitating the railways concern, but there is concern over inordinate delays in consummating the deal. It is believed that officials from Transnet and DIDG will meet the NRZ board to thrash out issues stalling progress. It is understood that tomorrow’s meeting will map the way forward on NRZ’s long-awaited resuscitation. “Government is going to have a crunch meeting with Transnet and DIDG board officials. The delegation will include financial and legal advisers, as well as board members,” an official close to the deal said. The official said there were many outstanding issues that have to be addressed. “Most of the issues pertaining to the deal have not been addressed, but hopefully this meeting will put finality on NRZ. “It’s an important meeting because Government put 14 February as a deadline. There are many outstanding issues that need to be thrashed out,” the offical said. Government wants to know how the consortium will fulfil its end of the bargain. “Of importance is the fact that Transnet needs to provide authority from their parent ministry in South Africa to regularise the partnership. Institutions such as Standard Bank of South Africa, Amalgamated Banks of South Africa (Absa), Industrial Development Corporation of South Africa, Ecobank Kenya and CBZ were reportedly interested in funding the project. Last month, DIDG chairperson Mr Donovan Chimhandamba said financial closure of the deal would be delayed as prospective financiers have to do their own due diligence on the consortium before releasing funds. As an interim solution to addressing the challenges plaguing the railways company, NRZ and DIDG/Transnet have negotiated lease terms on equipment comprising 13 locomotives, 200 wagons and 34 passenger coaches. 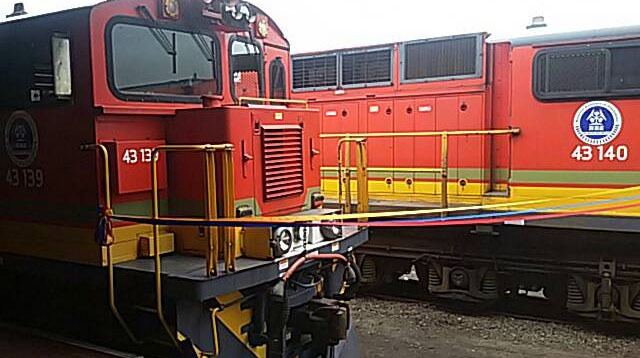 In March last year, NRZ took delivery of the first equipment from DIDG/Transnet through the interim arrangement. The equipment was meant to boost the NRZ’s operational capacity as its freight volume had tumbled due to outdated machinery. Market watchers say despite its current challenges, NRZ has huge potential to transform into a viable entity and become one of the strategic entities in driving the country’s economic growth.